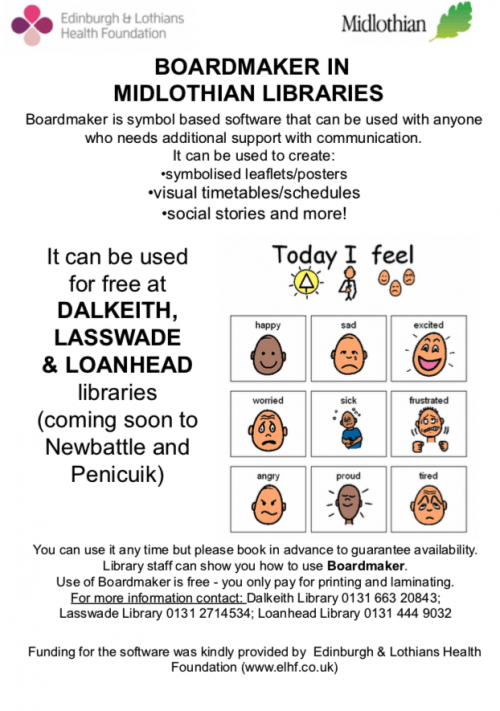 Boardmaker is launching in Midlothian libraries with free* access for families and practitioners. Boardmaker is symbol based software that can be used with anyone who needs additional support with communication. Launching on Wednesday 23rd January at Loanhead library the service will be rolled out to five libraries throughout Midlothian; Dalkeith, Loanhead, Lasswade, Newbattle and Penicuik. 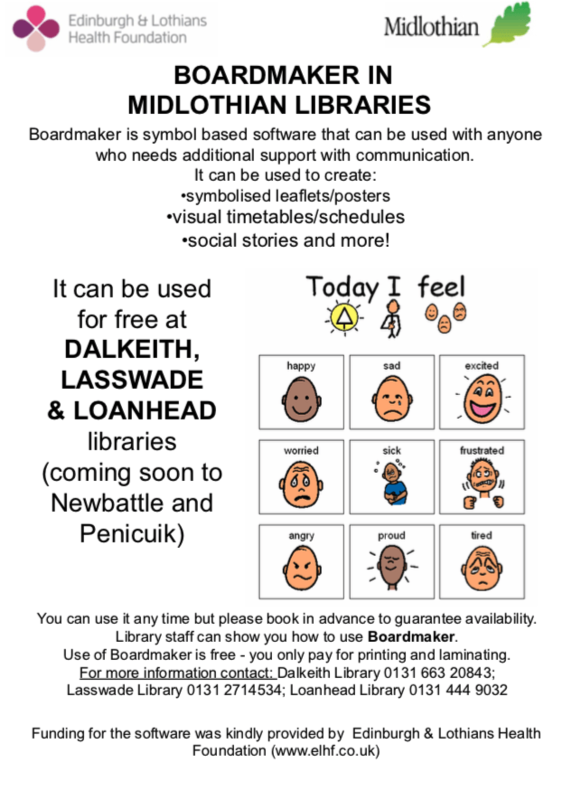 Pop along to the Launch on Wednesday 23rd January at 11am to see Boardmaker in action or contact your local library for more information.